MySQL is the standard format for saving and manipulating data (customer, product, stock etc) on a web-server. Interactive pages then can access and manipulate this data to create rich and interactive visitor experience. 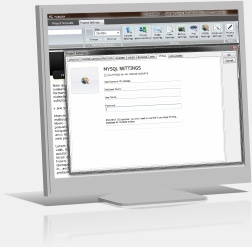 With EZGenerator 4 all Catalogs and Online Shops now use MySQL as their server-side data format. 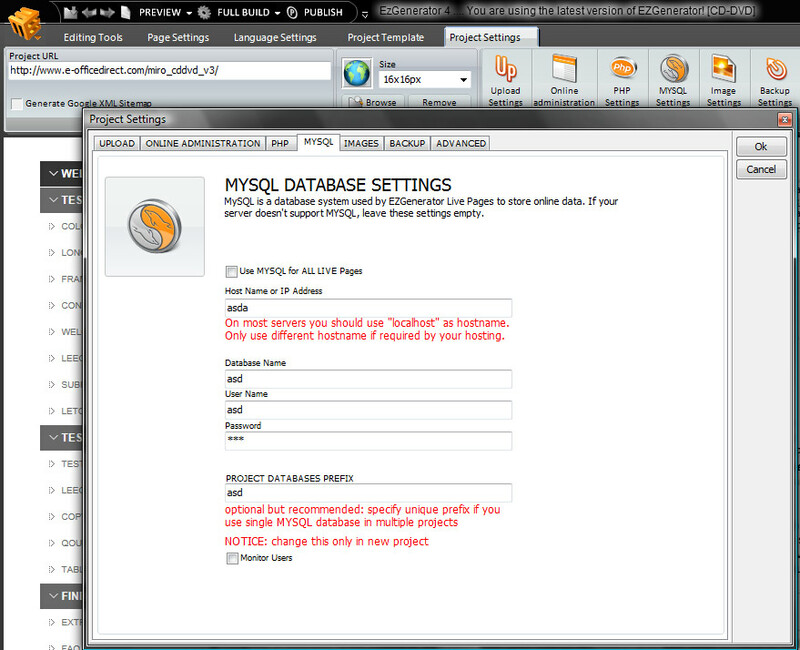 Once you setup the database with your server, simply input all the settings into the MySQL dialogue (click image to the left) this can be found on the Project Settings tab. If you have a project in version 3 that uses PHP to handle a shop or catalog, it will guide you to get this data converted. 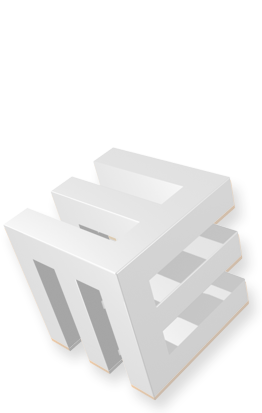 Make sure you have properly entered your database settings into EZGenerator first. You can use MySQL to handle all scripts throughout your project by clicking the box next to it in the MySQL settings box and we also added a handy feature – ‘editable area shop mini-cart’ support, so visitors can have their shopping cart visible all the time.